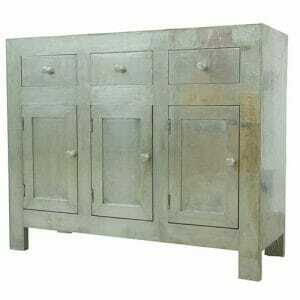 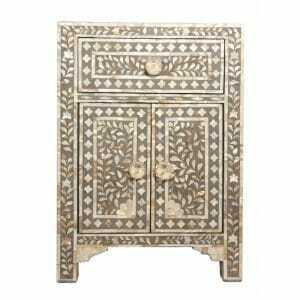 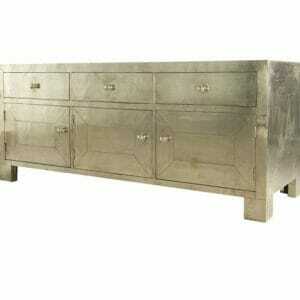 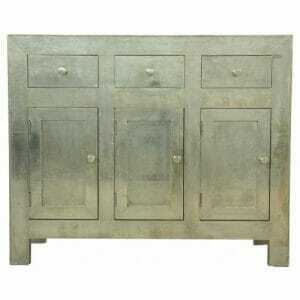 This white metal embossed wardrobe is a striking piece of furniture, handmade in India. 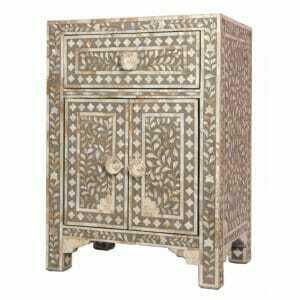 The wardrobe is overlain with a supple nickel alloy by our skilled Indian craftsmen. 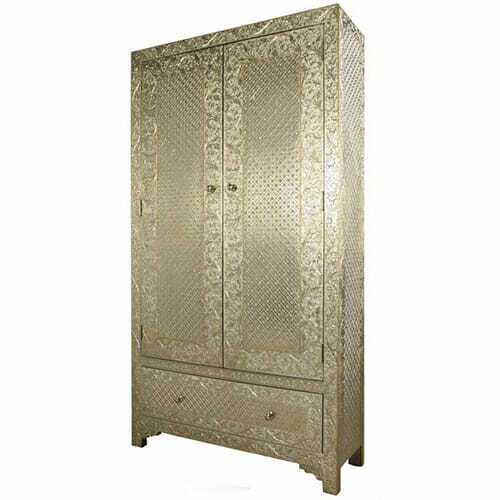 The metal wardrobe is then embossed with intricate geometric and floral patterns and is hand finished with gorgeous gold edge ribbon detailing. 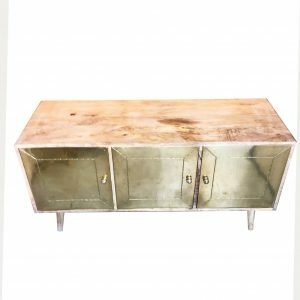 This imposing but elegant silver plated piece also features an internal clothes rail as well as an under drawer for additional storage to the wardrobe space. 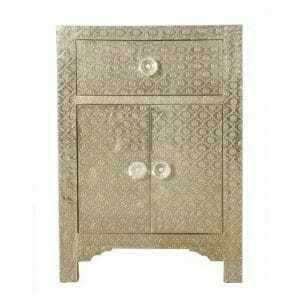 The Indian metallic wardrobe is finished with fine crystal handles that perfectly compliment the embossed metal plated surface. The embossed silver wardrobe is handmade to the highest standards or durability and design. 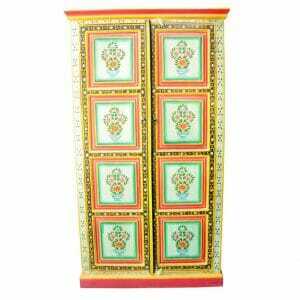 Each piece is handmade using Indian Shesham and Mango wood, to produce an extremely durable metal plated cupboard that will endure for decades. 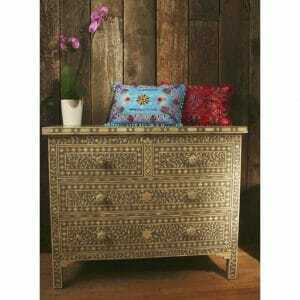 The tradition of this form of embossed furniture manufacture goes back many generations and is represented in the exquisite maharaja palaces of northern India and Rajasthan. 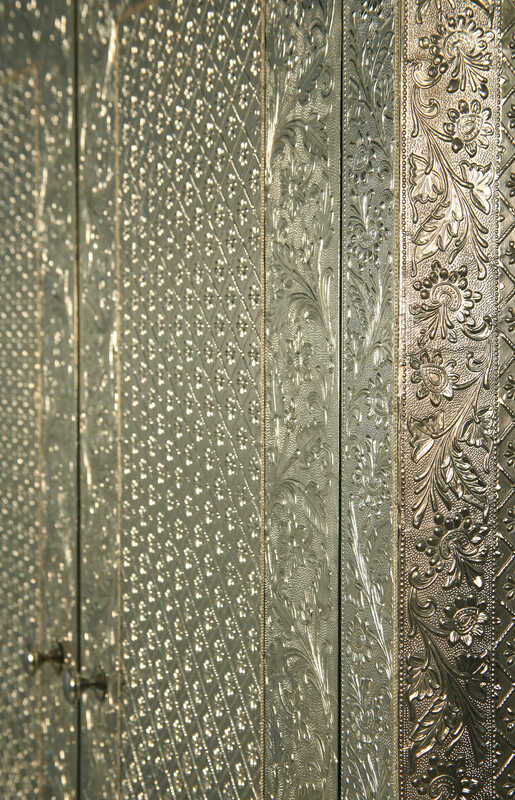 Many of our highly skilled craftsmen have been making embossed white metal cupboards and wardrobes for many generations, and have undertaken commissions for royalty. 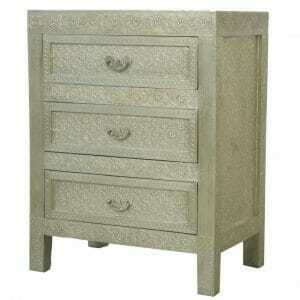 We can undertake bespoke commissions if you have an alternate size of white metal embossed wardrobe in mind. 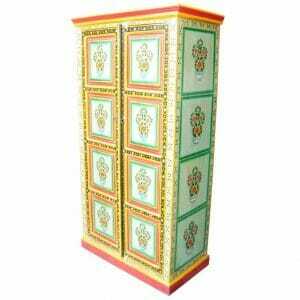 We visit our supplier in India several times a year and can undertake a bespoke metal cupboard project to your specification. 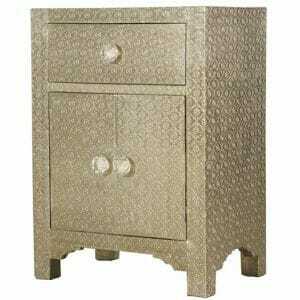 We endeavour to ensure a fair trade deal with our embossed furniture suppliers, many of whom have has these skills within the family for many years. 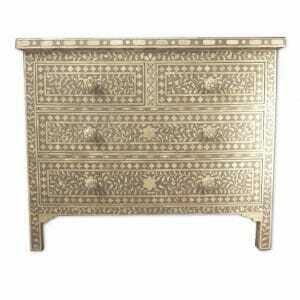 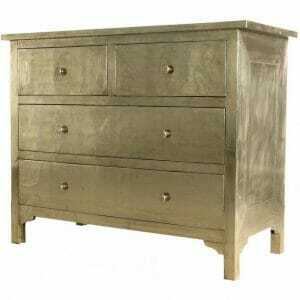 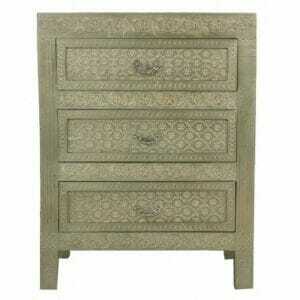 Please see more of our range of embossed metal cupboards and chests, these pieces will add an exquisite oriental flourish to a bedroom setting. 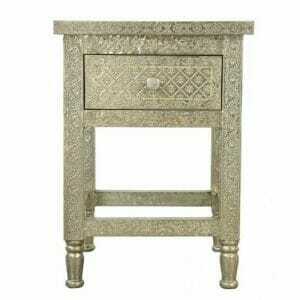 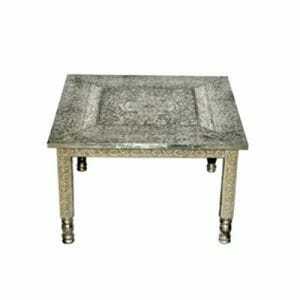 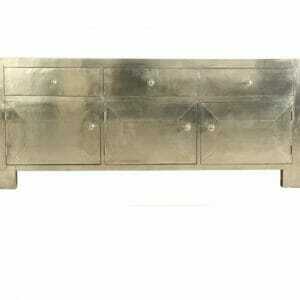 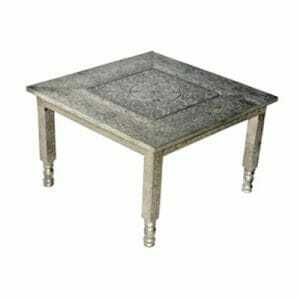 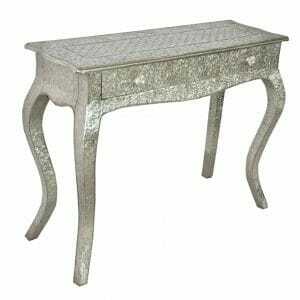 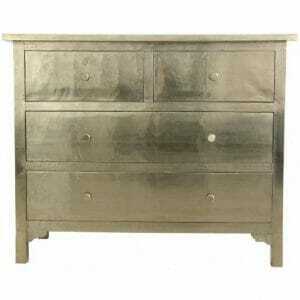 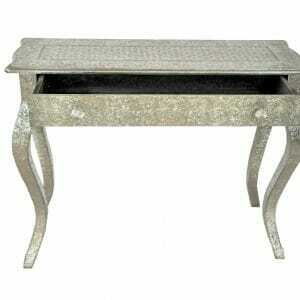 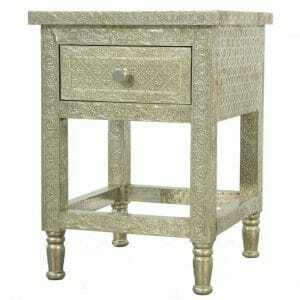 The embossed metal suits both a contemporary or traditional setting and can become a signature piece in your home.